Very personal and professional!!! Great advice negotiating and working on sale. Handled all questions and closing.Sold our property quickly.Thank you. The team worked hard from the beginning to sell our house as well as helping us buy a new house. They kept us up to date throughout the whole process and were very communicative on feedback from everyone. They got the closings scheduled perfectly so that we were able to move out of our old house and into the new one with no lag and they worked hard on the negotiating for us so that we got a good deal and sold the house quickly. Would definitely use them again in the future. We had only been in our first home just over two years before we saw what we considered our forever home pop up on the market just a street over. We setup a viewing and from the moment we met Rich we hit it off. He let us check the house out at our own pace, answered all of our questions, and then he even walked the block over to look at our house to see what we we're looking at. Long story short, they sold our house the first weekend it went on the market for just over asking price! They were there every step of the way between selling our first home and helping us buy our new "forever" home. They are super nice, professional, and extremely efficient at their jobs. We never felt pressured or scammed but actually felt like they were taking care of us by negotiating for things we never even thought of. 10/10 would recommend them over and over and over again. Sharon and Aaron were a pleasure to work with! They made the process seamless, stayed in constant contact, and answered all our questions. I couldn't reccomend them more! I met Rich when looking for an investment property in canonsburg. He stuck with me through a few deals that fell through, and eventually circumstances changed. I had to sell two houses. He got them listed and sold very quickly for the price I wanted. Couldn't have asked for a better experience. Rich and Sharon were extremely easy to work with for the sale of our home. They were professional, friendly and they were accessible; made sure we had all our questions answered along the way. I would recommend them to family and friends in the future. As first time home buyers, we were very satisfied with the assistance we received from the Dallas-Fincham Team! We got the pleasure of working with Aaron Hirak as our agent. From the beginning, he was very honest and diligent with our communication. He quickly invested himself in what we were looking for and would always answer our questions and provide us information about different properties that would meet our interests. He would also provide his professional and personal thoughts about different properties we visited and other properties we were interested on. Despite how scary we initially thought the home buying process would be, Aaron helped out throughout the journey and made it a much simpler experience (despite the obvious stress that comes with this process). Aaron always responded in a timely manner and provided us with all the answers we needed during this process. Thanks to Aaron (literally) we were able to make a deal on a home during Easter weekend. He was very diligent and provided everything in a timely fashion despite the holiday weekend. He worked with the seller's agent and we were able to agree on a deal that Easter Sunday. It was an incredible feeling knowing that he was able to get all this done during the weekend and made it happen. After our deal was "accepted", Aaron helped us throughout the whole journey until we closed. He suggested our mortgage company, inspection company, and many other services. At first, I was skeptical about all his suggestions and still shopped around for different quotes and to try to negotiate better prices. However, the providers he suggested were always the ones with the better prices (and better costumer service as well).Overall, we are very happy with the services that Aaron Hirak provided, which reflect on how good The Dallas-Fincham Team is and how impressive their team is. Amazing home buying experience! Thank you Aaron and The Dallas-Fincham Team! Sharon and Rich go the second mile. Their responsiveness is amazing: instant, at times. Always pleasant and professional. They are good listeners. For example, we had ideas about specific photos of the house which we thought should be included in the listing. They didn't hesitate to consider them, and they were assertive, yet gracious and respectful with regard to advising against some, giving good reason, based on their experience. We appreciate the fact that they didn't rush us through not even one aspect of the entire process, from our initial contact through the closing process, ever patient. Sharon and her team were excellent! They were very knowledgeable, attentive, and honest. They truly care about each of their clients. They made my experience as a first time home buyer smooth and easy. Rich and his team were great. Any time we needed to get a hold of them someone would always be available. They made the entire closing go smooth without any problems. We would definitely use them again. They are extremely knowledgeable about the market and tricks of the trade. After my house sat on the market for a year with another agent, they were able to get an offer on my house within TWO days of listing it with them. They are efficient, great communicators, and are supportive throughout the process. i had an excellent experience through both buying and selling property with Rich. Always on top of any questions and quick to respond. Easy to get a hold of. Our agent was professional and attentive to our requests during our entire house search. He helped us find a house to move into as well as sell our home. Sharon answered texts and phone calls punctually. She was extremely knowledgeable and professional at all times. The team hired a peofessional photographer to take the pictures of my house and yard, which added to the online interest. My house was sold in five days! Sharon was the key to starting our next chapter! We tried to sell our house ourselves for a year only to become more skeptical about hiring an agent. We met numerous agents during this process, but Sharon caught our attention. After a year with no success selling on our own, we decided to take a leap of faith and hire Sharon! Sharon had our house under contract in 2 1/2 weeks, even with a price increase! We were extremely impressed by her work ethic, drive, dedication to her profession and passion for real estate! She was there every step of the way to answer questions and ease our minds during some stressful moments with patience. We highly recommend Sharon and the Dallas-Fincham Team! They exceeded our expectations and are the absolute best! THANK YOU! The Dallas-Finchman Team was wonderful to work with. They took the time to walk through our home and give specific suggestions on preparing the home for pictures and subsequent showings. Once we decided to list, the timeframe to get pictures taken and get the listing finalized was just a few days. The team seemed on top of everything! Once we had a contract on the home, they remained very involved in getting us to closing. We were provided a point of contact to keep us on track with all pre-closing issues from inspections to HOA Docs to closing docs. I would highly recommend their team to anyone looking to sell their home. These folks are wonderful to work with! (We are probably their only walk-in clients.) They have treated us like honored grandparents in our search for a new home. Aaron has guided us through the maze of paperwork and legwork required to become owners of a new home for the first time in 50 years. No question has been too "dumb" and we have never felt ignored in our confusion. And we have all laughed together about some of the ridiculousness we've encountered. Let this excellent team help you buy or sell. They are terrific! Rich & Sharon were absolutely the best. They made time for me and did their very best in selling my house. I had another realtor and they were the worst ever. My house would of been sold six months sooner if I would have gone with them in the beginning. I highly recommend them to anyone. They work very hard and are completely devoted to you. They make you feel that your house is the only one they are listing. Sharon and Rich did a phenomenal job in helping us overcome significant challenges in selling our home. They provided recommendations for repairmen, competitive pricing assessment that was spot on, and a sense for timing the market at the most advantageous point. They were professional, patient and prepared. We also used them as our buyer's agent, as well. I would highly recommend Sharon and Rich! Great team! Friendly, very helpful and all around wonderful! Every question we had, they was quick to respond and they made our move so smooth and easy. Sharon and Rich were fantastic! Their whole team was great. We had to move across the country and put the house on the market, but they kept us looped in, even while we were 3,000 miles away. Sharon passed along all feedback, and she and Rich were always there with advice and suggestions. They have a great team that goes above and beyond, and we wholeheartedly recommend them to anyone putting their home on the market. Home purchase was made a bit difficult due to owners being Florida residents. Seller and buyer representatives coordinated well and were able to facilitate purchase of home furnishings along with the home. Closing was a quick and simple affair and was accompanied by a gift from the team. A job well done folks! Thank you Sharon and Aaron for having the patience and taking the time to find me the right home. Thank you Jennifer for your expedience and attention to detail while working with my lender. The Dallas Fincham Team will be my first recommendation to family and friends. Thanks again for all your help and responsiveness. We enjoyed working with Rich and Sharon Dallas. We were not easy clients since we were from out of town and didn't know exactly what we wanted. We would often contact Rich on the spur of the moment and he always tried to fit us into his schedule.He also helped us with our transaction from out of state. The Dallas-Fincham team has been great to work with from a buying side, so much so that I’ve enlisted their help on the sale side. They are professional and clear communicators. When I thought the deal was not going to happen, they held confident and indeed made it happen. I have no doubt they will exceed my expectations with the current sale of my house. The Dallas-Fincham team was wonderful in successfully selling our home and helping us purchase a new home. They were very easy to work with, friendly, and professional. We highly recommend them to anyone looking to buy and/or sell their home. Rich is extremely good at his job. I've now purchased two investment properties from him and both have been executed flawlessly. Most recently, Rich identified a good property, negotiated well on my behalf, and got us to closing in just 10 days from signed agreement. Highly recommend the Dallas-Fincham team for any real estate needs. The Dallas-Fincham team has been an unbelievable group to work with. They were there for us in every step of the process, and as first time home buyers...I can't describe how valuable it is to have that level of confidence in your realtor team. We can even more so speak to how great they were because we had to part ways with a previous realtor who was unable to make themselves available for us when we needed them. We never had to worry about that with Rich, Sharon, and Aaron. They ALWAYS made themselves available and worked collectively to provide us with the best possible experience in obtaining our home! The experience was great. The whole team made us feel comfortable and were very quick to get us into the houses we wanted to look at. Their knowledge about the home buying process is extremely beneficial in negotiating as well as what to look for in houses you're interested in purchasing. We will use them again in the future if needed. We highly recommend them! Rich and Sharon did an amazing job. Knowledgeable, professional and responsive at every step of the way. Not only would I highly recommend them but I would go back to them without question! I worked with Sharon Fincham. She was extremely knowledgeable and had a lot of patience with all my questions. If she did not know the answer to a question she quickly found out and got back to me. She negotiated the price of the property and I feel came out with a very fair deal. I highly recommend her. 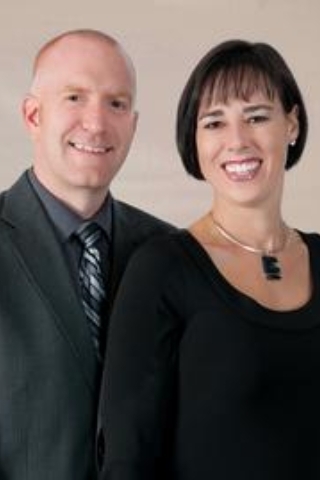 Sharon and Rich are the best people to choose for anyone who wants to buy or sell a property. They are knowledgable, energetic, eternally helpful and unbelievably responsive. They listed our home in the middle of winter, not the ideal time to sell a house. It took only 25 days to receive and accept an offer that was absolutely at the top of the price range we were hoping to achieve. We have already recommended them to others and will definitely continue to do so in the future. We cannot say enough about the quality of our experience with them. Very professional and knowledgable the highest recomendation. They helped me through everything from deciding on a fair price, to closing. Once I saw the aggressive measures that were being used to sell my building, I was confident I chose the right team! The Dallas-Fincham Team was great to work with from market analysis to the closing table. I was living in IL as I was selling a house in PA. They went over and above to make sure the house was marketable and catered to a lot of my extra needs. I would highly recommend them to any prospective seller for sure. I cannot imagine my family finding anyone else that could have made the selling of our home easier. From day one they were very professional and gave us a sense of security that our home would sell in both a timely and within the price we were wanting. Kept us very informed throughout the whole process and was available at all times. Their expertise allowed us to ask anything with the assurance that the answer/recommendation they provided was the right one. Rich was an amazing realtor to work with. He was always available through email, text, or calls. Rich helped us to get the best deal on both selling our current home and buying a new home. Aaron was also super helpful and went above and beyond to help us and assist with things we could not deal with because of our working hours. We only had one encounter with Sharon, but the moment we met her she was just awesome. We would recommend this team to anyone buying or selling a home. He is fantastic to work with! Overall BEST agent I have ever worked with. We used him as our buyers agent and selling agent. He responds to every single text, email, phone call right away! He never makes anything seem like a hassle and is willing to do whatever is needed to suit your needs. He is extremely friendly and reliable! Goes above and beyond! While he was on vacation we were trying to make a deal on a house and we were still on the phone at least 10 times a day. I would refer him to anyone who need a GREAT agent! Always a pleasure working with rich and his team of hard working people I would highly recommend them . I absolutely LOVE working with Sharon! She had me matched up with Aaron, who is on her team, and between the two of them I got the absolute best service I could ask for. They are both responsive and are great at scheduling. They’re very patient too (which they needed to be with me). I’m finally in my house and I’m so grateful I was able to work with such a fantastic team. I had the recent pleasure of working with the Dallas-Fincham Team. The listing work and sales efforts through closing were seamless. A very professional group of people who kept things smooth and flowing. I would work with them again in a heartbeat. Rich was a tremendous help from the start to finish of our transaction. He welcomed us with a very friendly video, which was great because we were across the country, and organized the listings in an easy-to-use manner. He also opened our eyes to neighborhoods we hadn't previously considered, which was very valuable to us as newcomers to town. We can't say enough about how responsive Rich is. He answered all our questions thoroughly, clearly, and quickly. Also, Rich is a great negotiator! He saved us money at every opportunity. We've bought and sold several houses with different realtors, and we can say with confidence that Rich is a class act and a true professional. I would strongly recommend Rich to anyone looking to buy or sell a home.